When you look at your hole cards and see pocket Jacks, it almost looks like they’re laughing at you. Jacks are a tricky hand to play because they have all the beauty of a face card with most of the limitations of a hand like pocket nines or tens. While this hand isn’t losing you money, you probably aren’t making as much money as you could from pocket Jacks. Pocket Kings are roughly 82% to win against a random hand preflop. However pocket Jacks are 77% to win against a random hand preflop and pocket Tens are only 2% less than that. If you play your Jacks too fast, you’re giving an edge to your opponents. 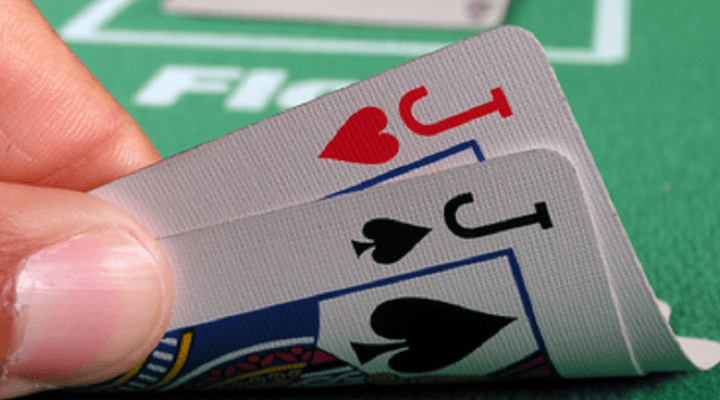 When you play pocket Jacks, you’ll face an overcard on the flop about 57% of the time. That means that almost half of the time you’ll have the unenviable position of deciding whether or not your opponent is holding a Queen, King or Ace. If you decide to bet and your opponent calls, you have another tough decision on the turn – especially if the turn is also a Queen, King or Ace. Moreover, your opponent might sense your concern and start representing the scare card and force you to fold. How Should You Play Pocket Jacks? Jacks are good enough to be played strong preflop. You should raise them from any position at the poker table. You might even re-raise with pocket Jacks if you’re in late position and the initial raiser is a loose player. However calling a re-raise with pocket Jacks is a mistake and frankly, it’s a mistake that the majority of low limit players make. Even if your pocket Jacks are the best hand preflop, you’ll have a difficult time taking them to showdown. As I mentioned before, you’ll face an overcard on the flop 57% of the time and be forced to fold your hand. The other 43% of the time you’ll have to decide whether your re-raiser raised you with Queens, Kings or Aces. In short, you’ll be in a needlessly difficult spot. Pocket Jacks should be played with restrained aggression. Play your hand strong, but fold your hand if someone else shows strength in turn. Jacks can be a powerful hand, but they can’t take a lot of heat. By paying close attention and folding when necessary, you can limit your losses with pocket Jacks and therefore make them more profitable.